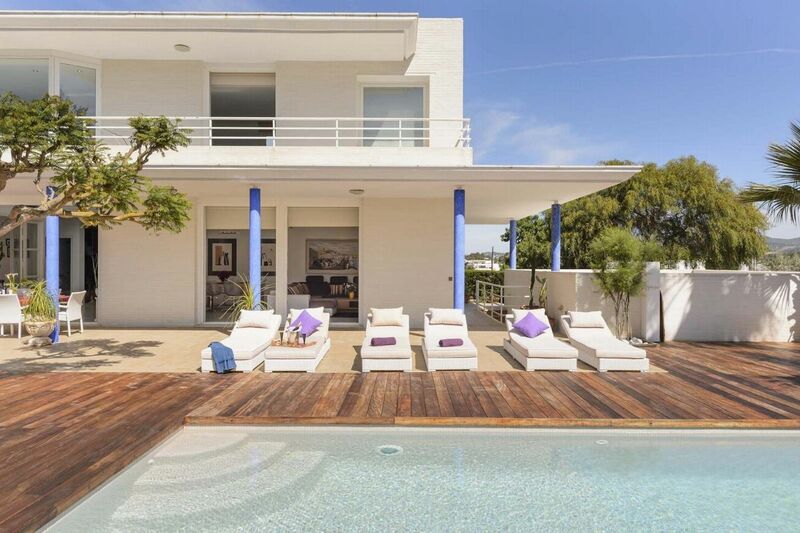 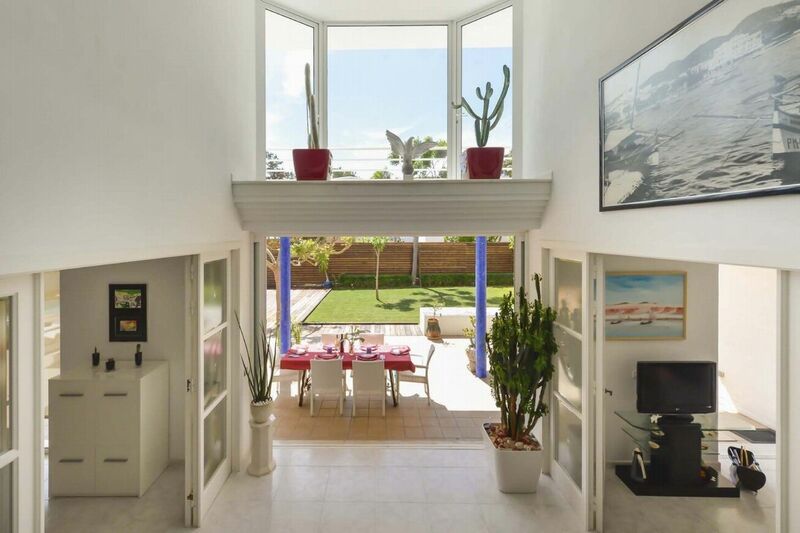 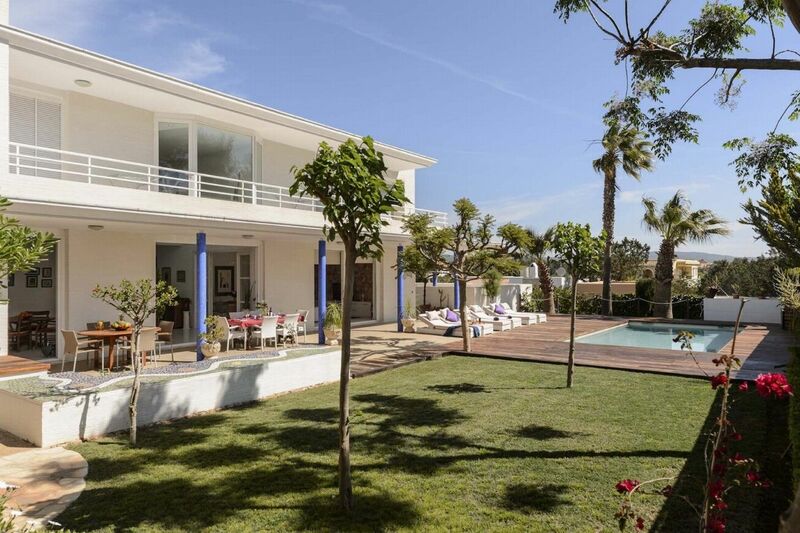 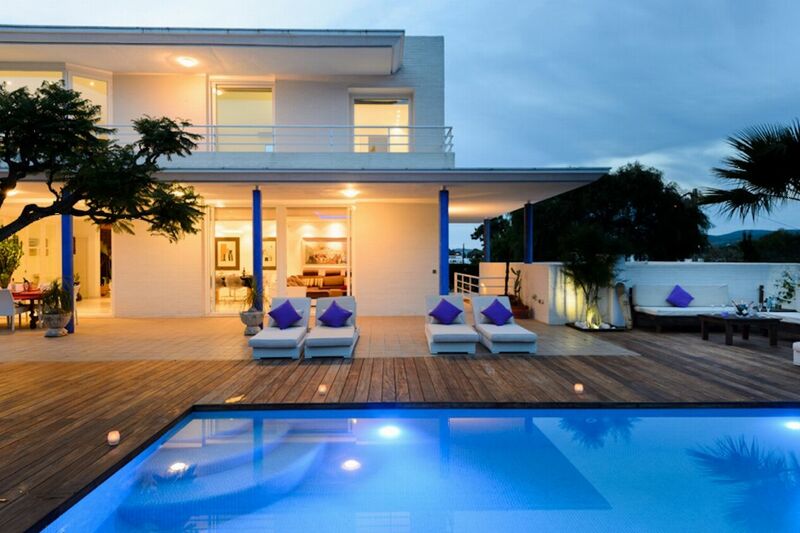 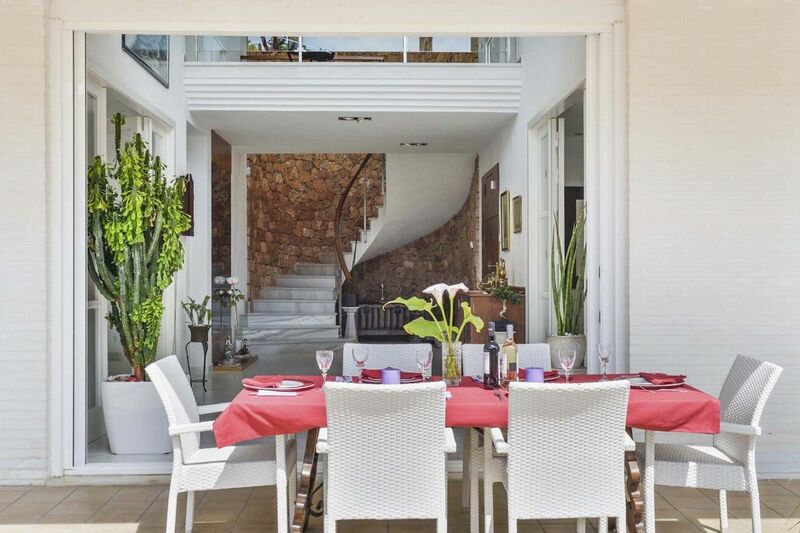 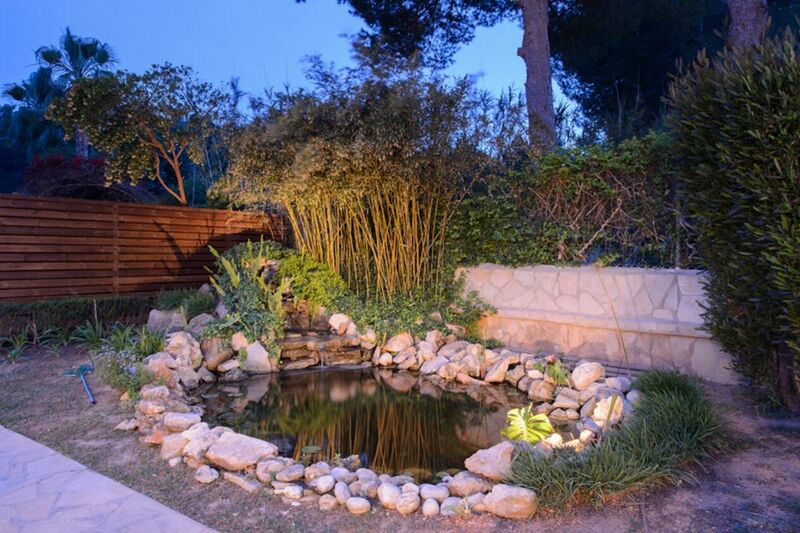 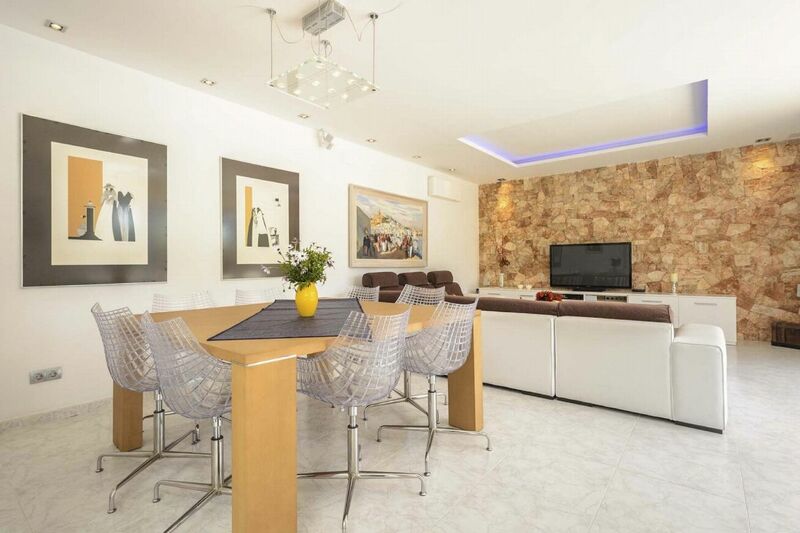 This stunning, bright, spacious villa built over two levels is located in a quiet residential area in San AgustiÌ�n Bay. 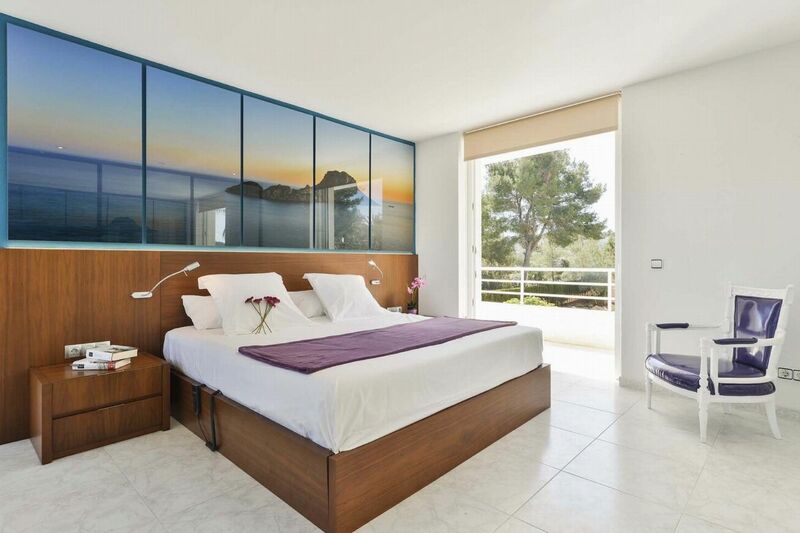 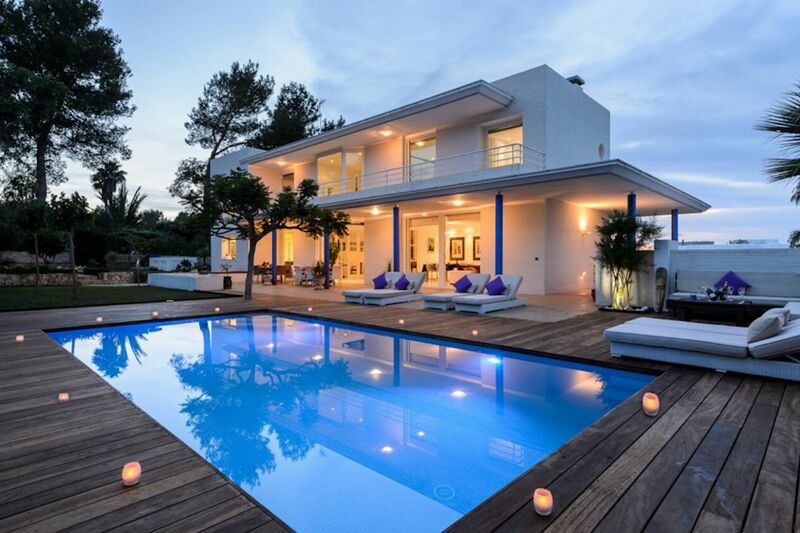 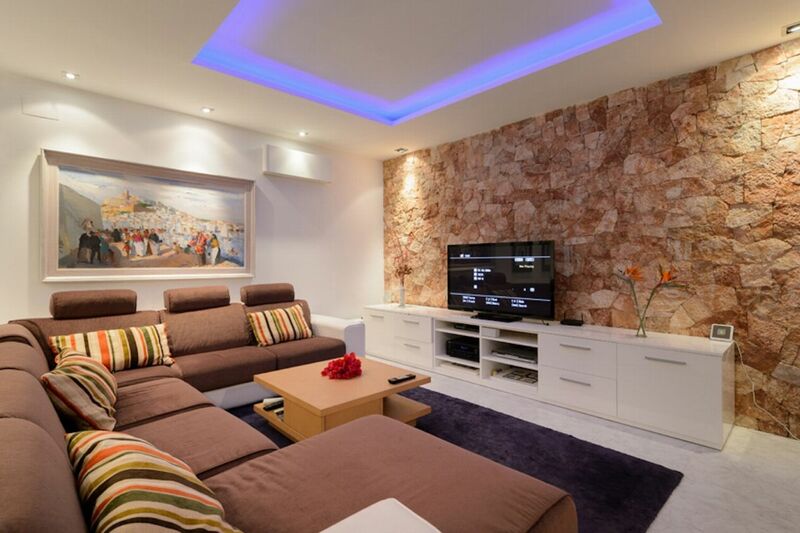 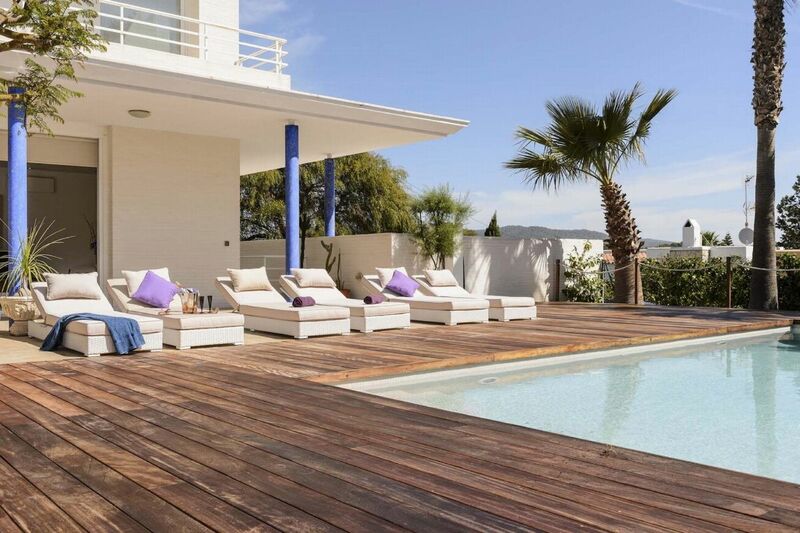 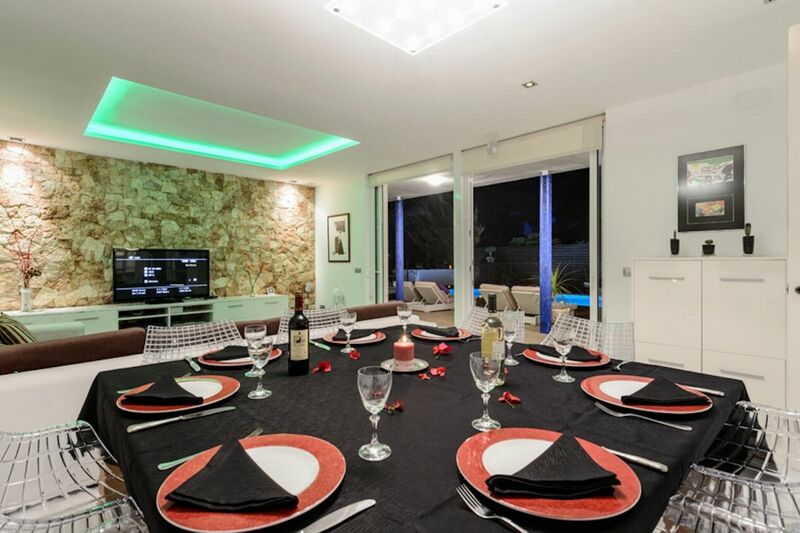 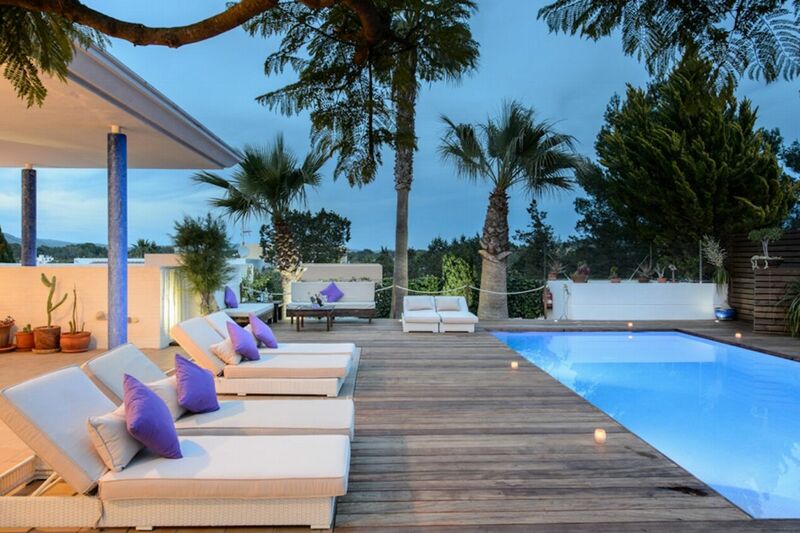 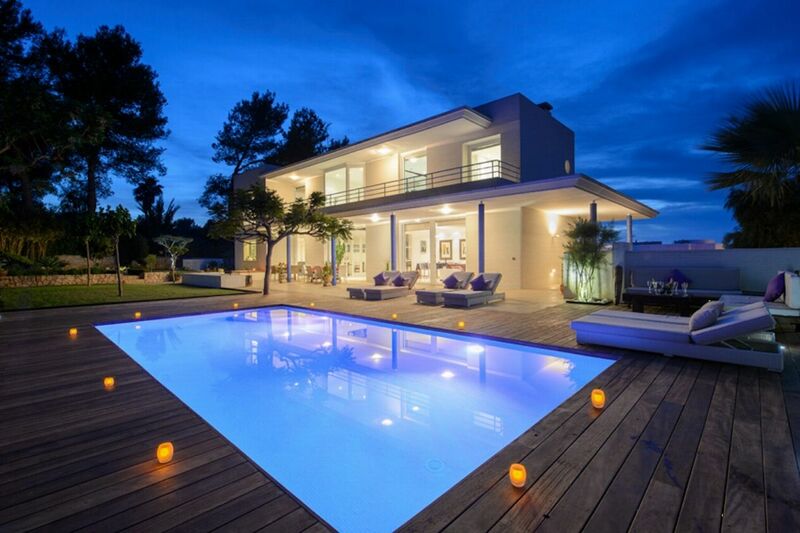 The 1,325 m2 plot and 400m2 of living area gives plenty of space to enjoy your Ibiza holiday comfortably. 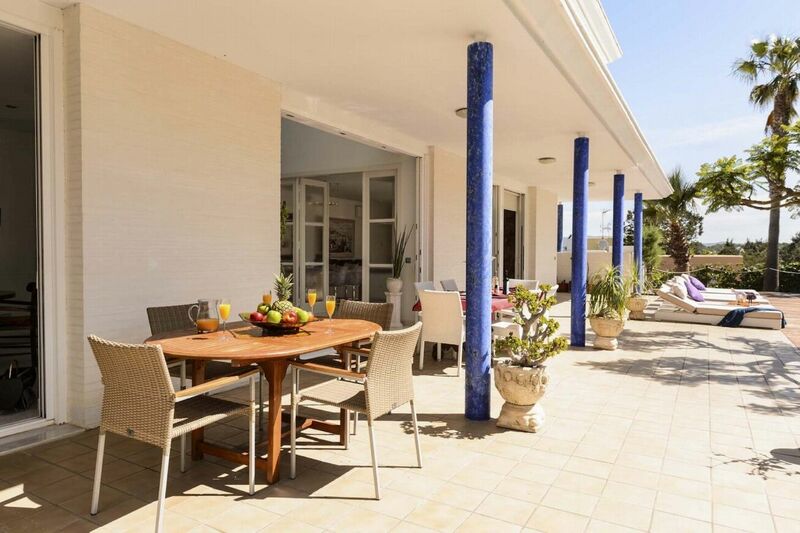 It is conveniently situated approximately 10 minutes drive from Cala Bassa, 15 minutes from Cala Conta and 20 minutes to the rest of beautiful beaches on the West Coast. 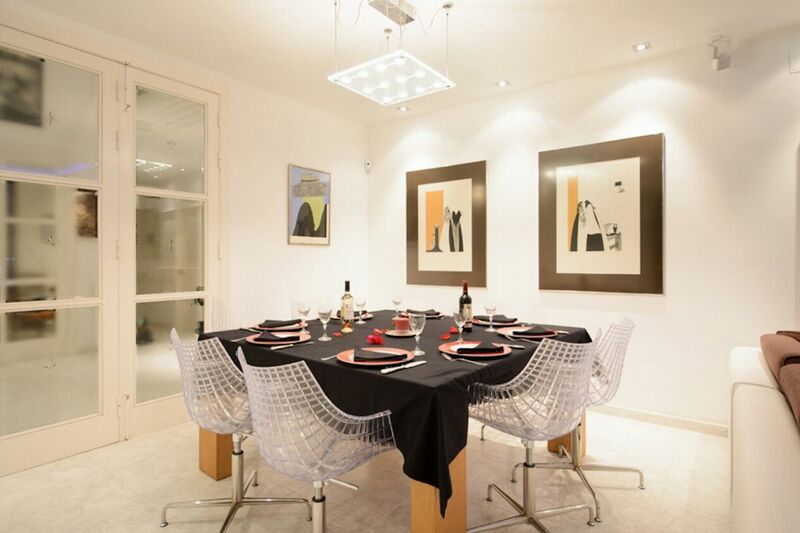 It's only 5 minutes from the night life, the restaurants, bars, supermarkets, shops and banks of San Antonio. 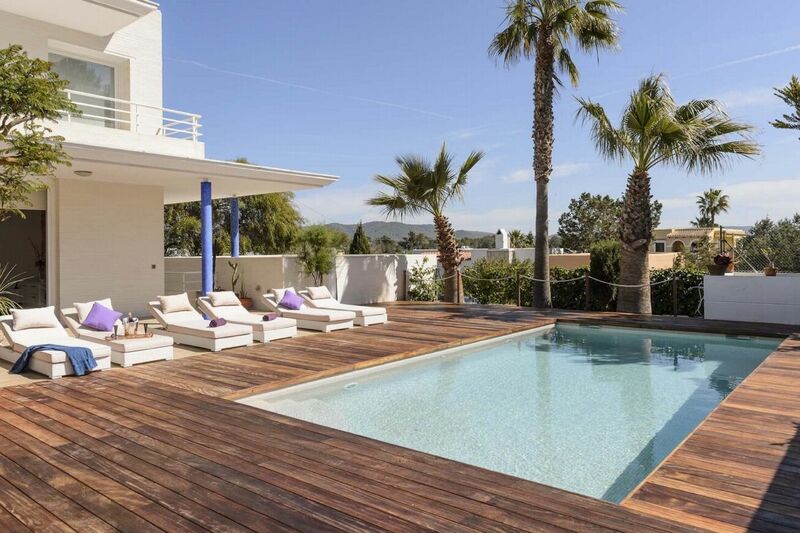 The airport and Ibiza town are only 20 minutes away. 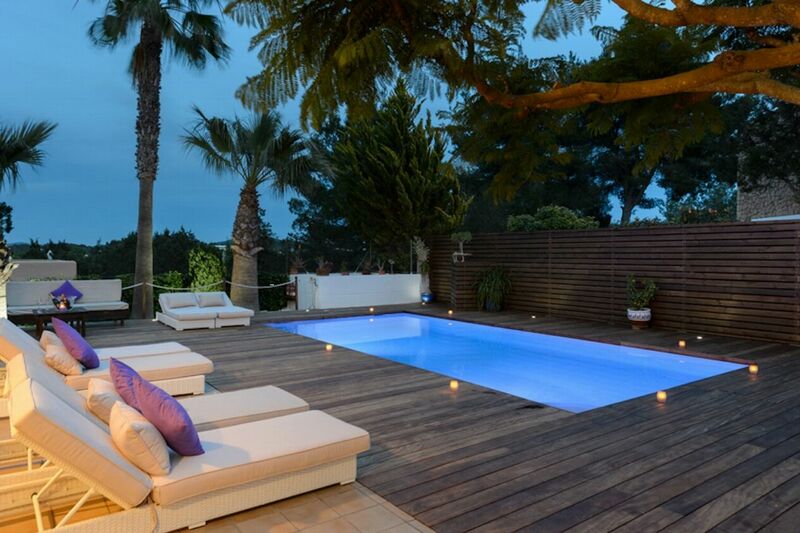 OUTDOOR AREAS Outside you can enjoy a private, very well kept garden with lawn, sunny and shady areas, an inviting large swimming pool area surrounded by wooden deck and 6 sun beds. 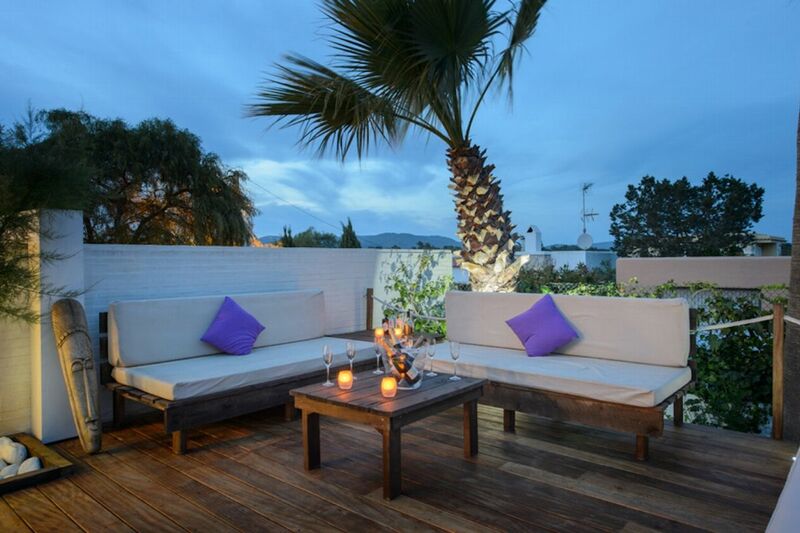 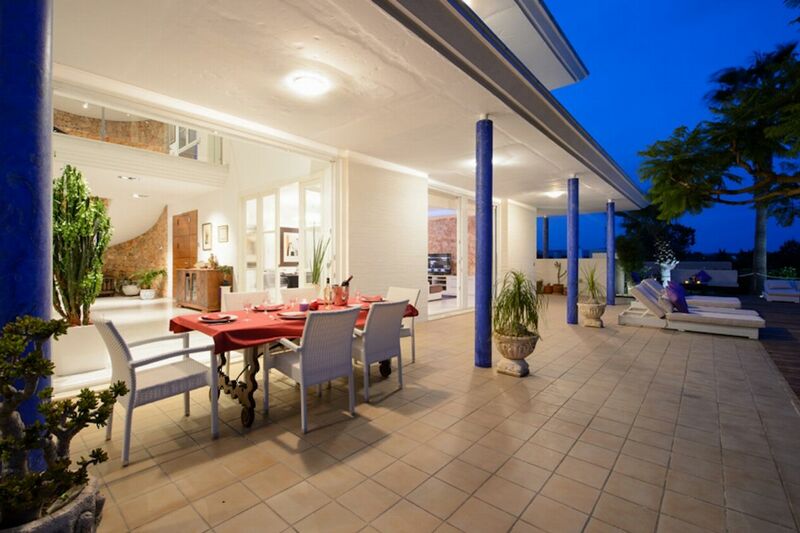 There are several terraces and a large porch with a 4-seat and a 6-seat table, a perfect place for â€œal frescoâ€� dining. 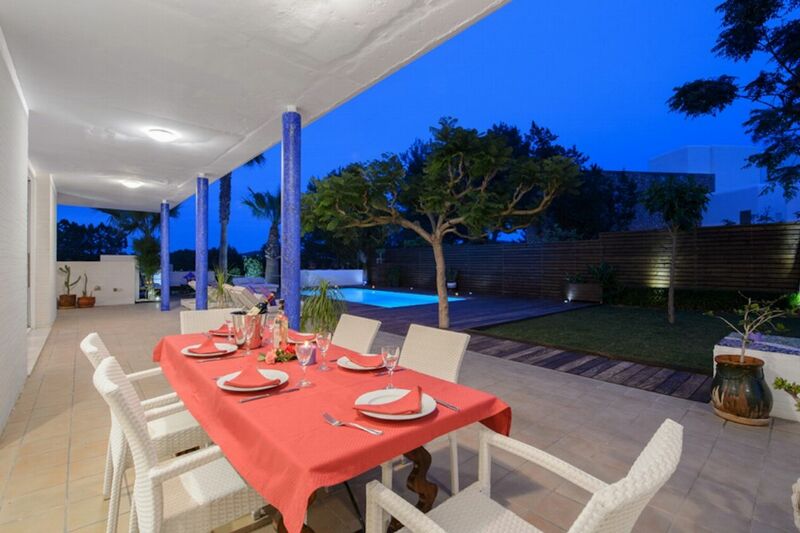 As you walk into the spacious grounds of the villa, there is private parking (garage) for 2 cars. 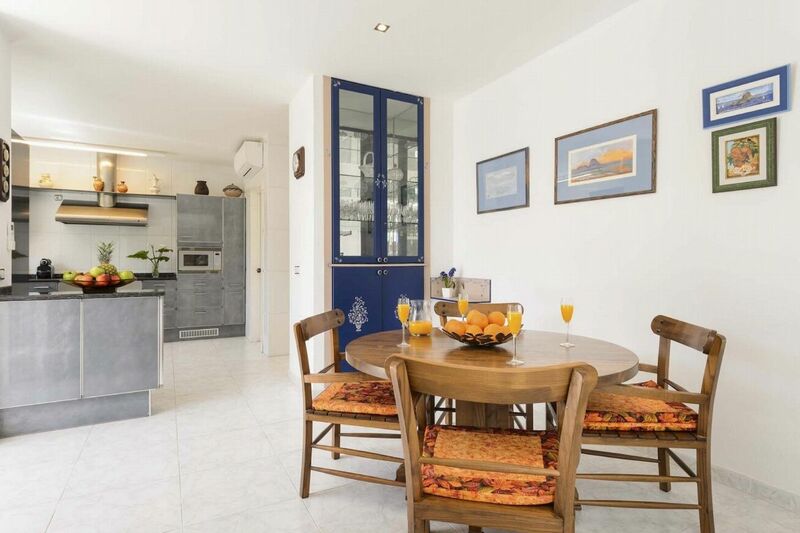 This is the perfect place if you are looking for privacy, ideal for friends and families who want to enjoy the tranquillity without being far from the most exclusive beaches of the island, restaurants, bars, supermarkets and shops. 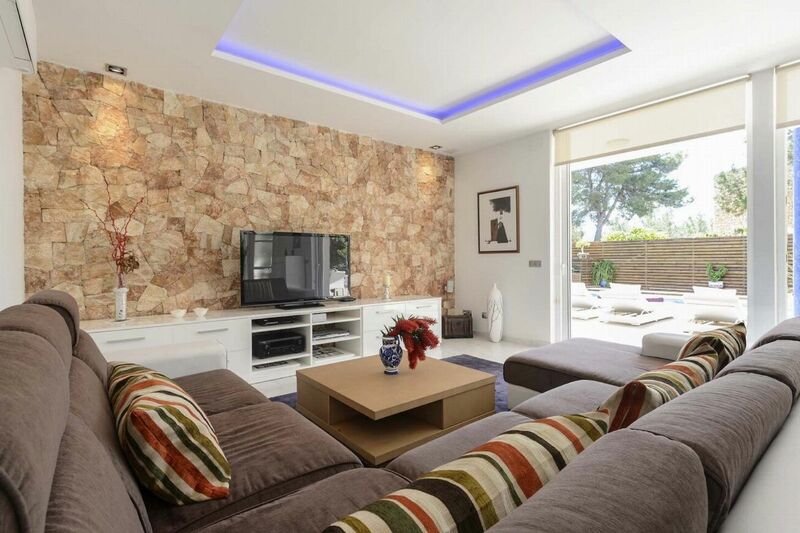 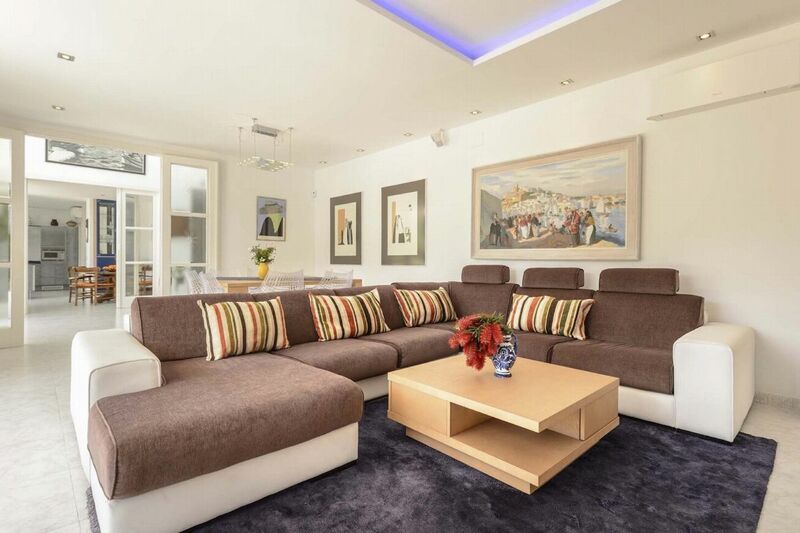 LIVING AREAS On entering the villa on the ground floor there is a spacious, bright entrance hall, this leads to an 8-seat-dining area and a large living room that has a Plasma Digital International Satellite TV, home cinema, fibre-optic internet and Wi-Fi. 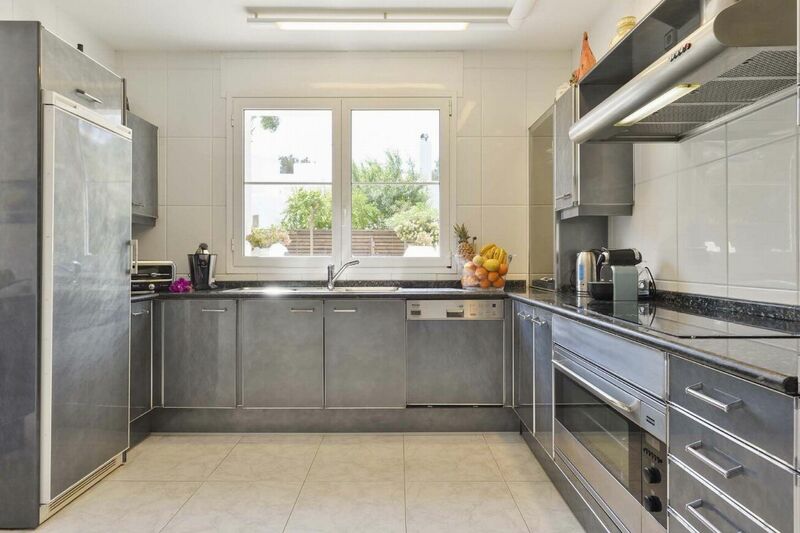 There is a fully equipped modern kitchen (dishwasher, refrigerator, freezer, induction hob, microwave, Nespresso machine and all types of small appliances) and a large pantry. 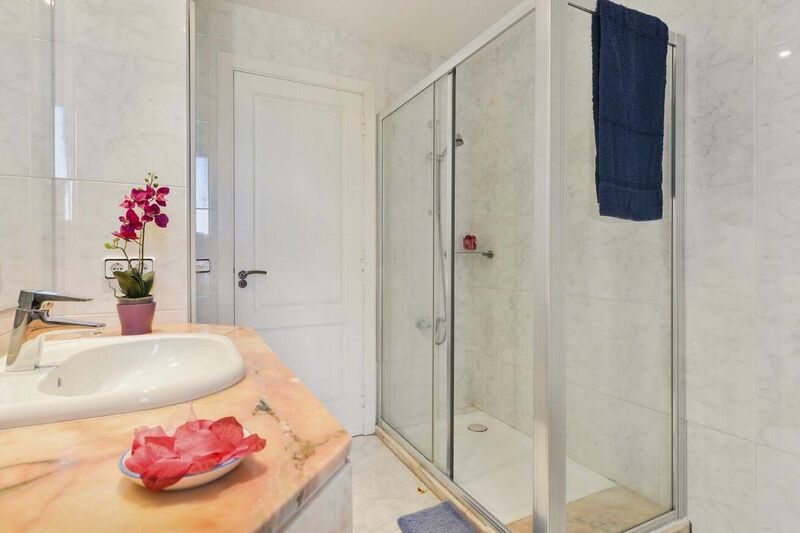 The laundry room with washing machine, washer dryer and iron is located in the first floor. 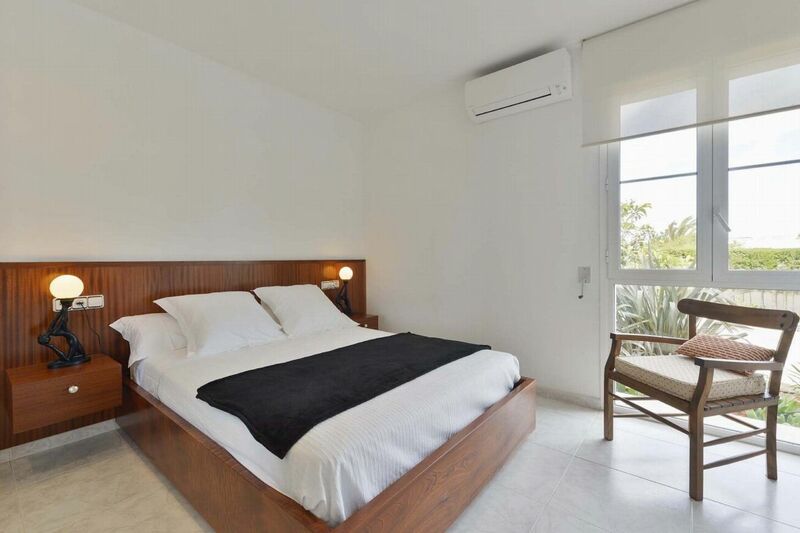 There is air conditioning throughout the villa, home osmosis water filter system for drinking water, alarm and a safe box. 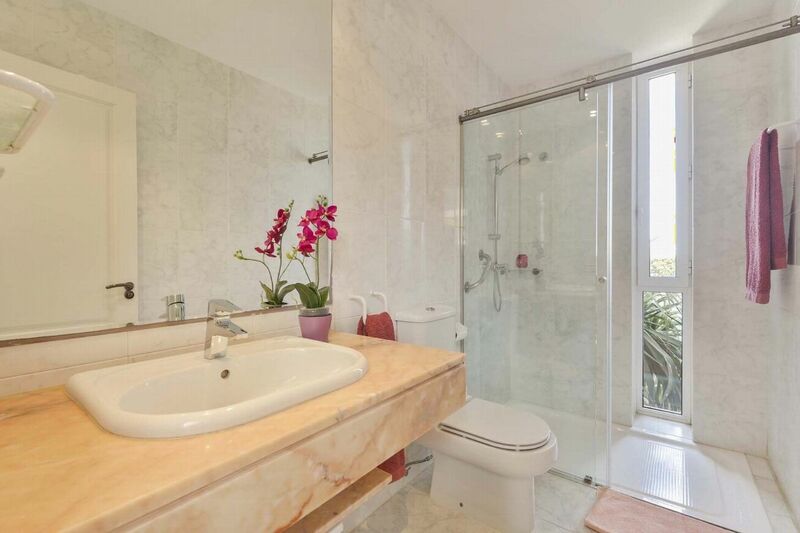 Ground Floor - Double bed, air conditioning, separate bathroom with walk-in shower on the same floor. 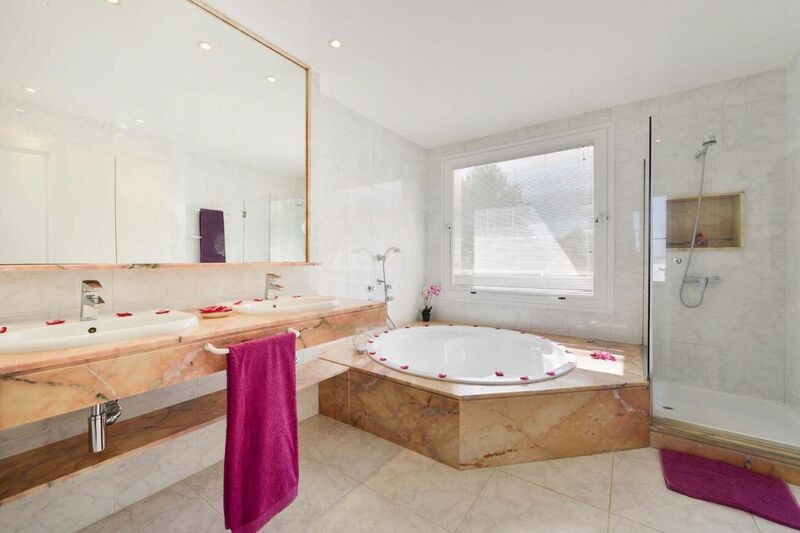 Master Bedroom - First Floor - King size bed, air conditioning, en-suite bathroom with a large hot tub and shower. 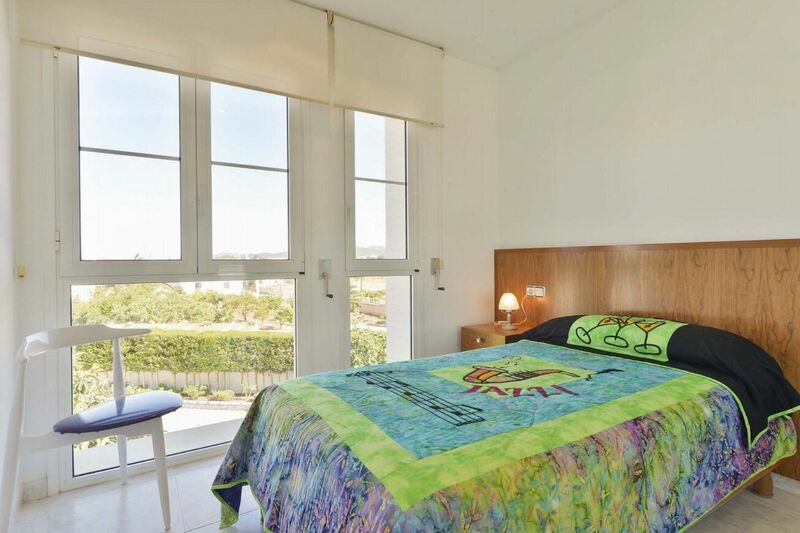 First Floor - Double bed, air conditioning, shared bathroom. 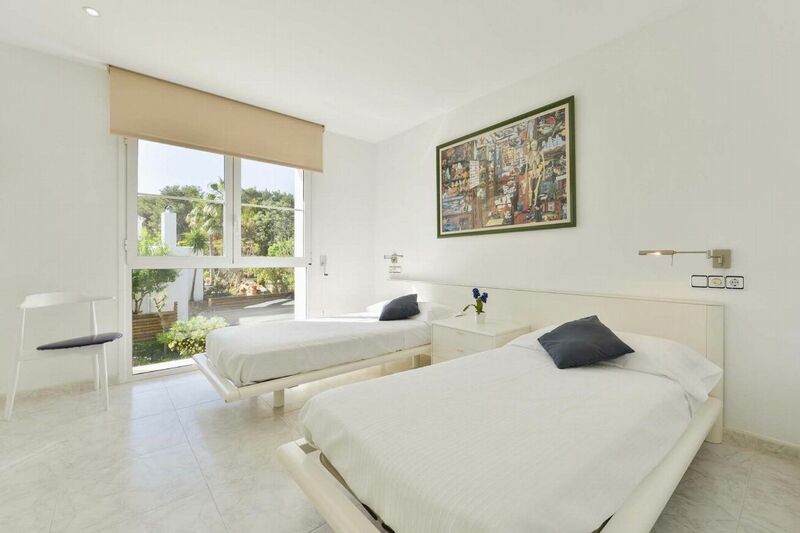 First Floor - Twin beds, air conditioning, shared bathroom. 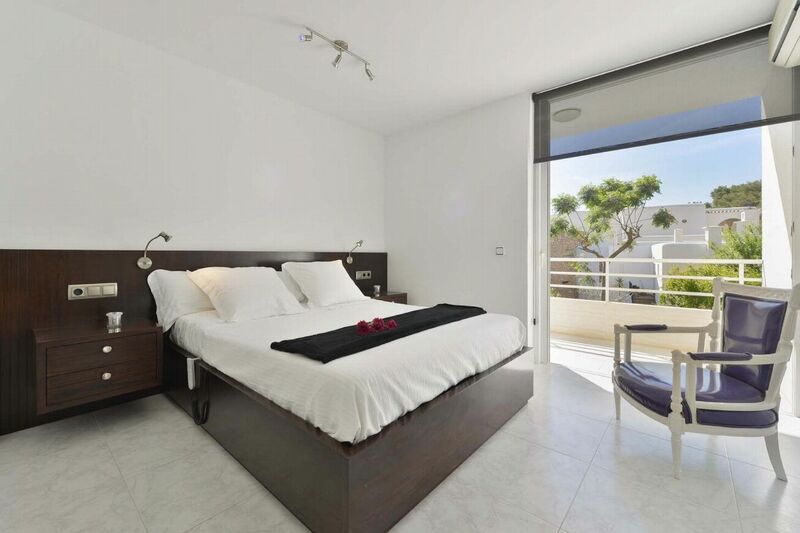 First Floor - One single bed, air conditioning, shared bathroom.